In choosing Amytis Leaves Her Garden, my sense of being a poet, who loves the catching a glimpse of the world through eyes that are not my own. 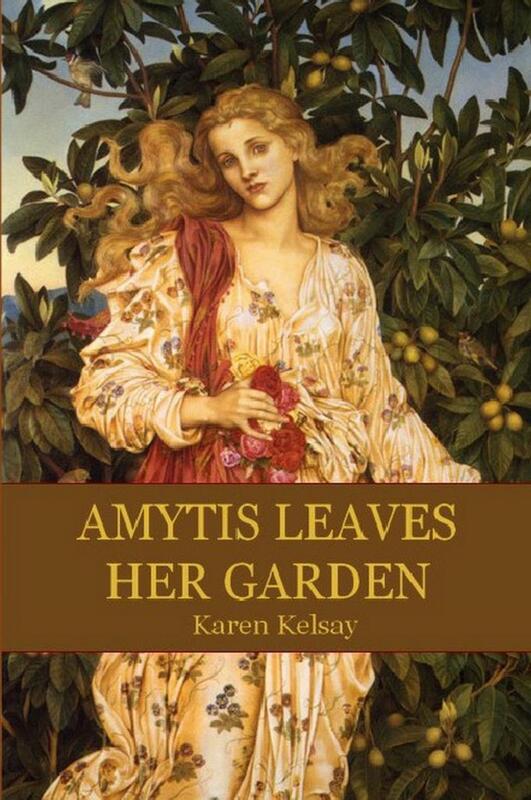 I don’t wish I had written Amytis Leaves Her Garden, I am instead in awe of how Karen Kelsay has been able to catch a wisp of time or place, and transport me there, with clarity and imagination. Clearly this is a collection of poetry that bears the hallmarks of Mormon life and the ideals of Mormonism’s gender ideas. “A Proper Man” (pg 23) is one of the poems that at first left my feminist self bristling, as did several other poems that seemed to be focused on only the sunny side of life. Then “Summer in Italy” (pg 46) is the reminder that searching for beauty, comfort, the sublime, in the midst of each sorrow, trial and the unexpected *is* what and who Mormons are. While the subject varies from poem to poem, each sheds beauty on sweet moments that are here, and would be gone, if not for Kelsay’s brilliant poetic snapshots. The poems in Of Omens That Flitter have such a beautiful and persuasive rhythm—and the vocabulary is a delight. (I’m thinking of “wentletrap” in “The Courtship Hour”—wow.) The title poem, that first sonnet, opens up the whole book. There are alluring poems, like “An Evening in May,” that combine the natural world and the world of relationships is such rich ways. The poems about ageing and relationships especially because of their direct vocabulary are some of my favorites: “Outlooks” and the poignant “Summer in Italy.” “The Tortoise and the Hare” is quite an incredible portrait—memorable and painful. Karen fearlessly tackles complex situations in these poems, and I am so glad to have the book on my shelf. 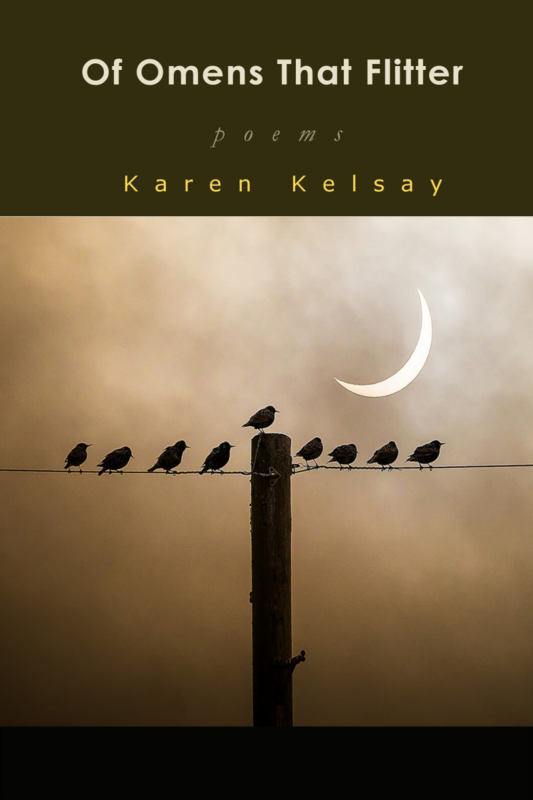 Karen Kelsay’s third full length book of lyric poetry, Of Omens That Flitter, is a moving collection of new and selected poems, both in form and in free verse, showcasing the musicality, care, and craftsmanship that have become the hallmark of the author’s work. The shifting courses setting the tone in the opening sonnet reappear throughout, and provide the reader with deeply spiritual meditations on the theme of change—from youth to old age, from life to death, from summer to winter, from doubt to belief. The touching poems about her family, her travels, her faith, and her life in California and in England are infused with wisdom and humor, enhanced by an inspired and graceful combination of plainspoken language and striking sensual imagery. Her treatment of light and shadow, for example in “The Courtship Hour” and “Needlepoint in Blue,” is particularly fine. In his search for a definition of pure poetry, scholar of philosophical theology and literature James Matthew Wilson states, “Poetry never appears so powerfully as a gift or revelation as when it finds words for the invisible life of the spirit.” In Of Omens That Flitter Karen Kelsay has indeed found those words. This is a book of poems by my publisher, so it behoves me to be, at least, polite. However, no need to worry. These are the sort of poems I like. They rhyme and they scan and they make sense. In other words they are unlike the sad general run of poetry these days. Well of course they are. Karen Kelsay started Kelsay Books in order to show the flag. I joined her, firstly because she accepted the book I sent her, but also because she is doing what needs to be done. There’s plenty here about death (a poet’s biggest gun). Death is the straight-faced man who stares far off. There are ghosts and more than a whiff of Tennyson, with poems called The Lady of Shalott and Mariana. Many of the poems don’t rhyme, which doesn’t suit my prejudices. Cats stalk through the book, which does. In fact the book is full of small, furtive animals and birds about their business, which could well be killing each other. Even the plants are on the move, an orchid and a hemlock intertwine forever. This is a very visual poet. She makes you see, and see in colour what’s more. Lots of whites and blues and golds. Here and there a yellow, a green, a pink. Omens? What are they omens of? Disquiet and concealed violence. And underneath everything sadness. Sadness. Karen Kelsay's Lavender Song is a delectable collection of perfect quatrains, tercets, and the occasional sonnet—a poetic gathering that the Elizabethans would have called “a garland of Delights.” Kelsay's subject matter runs the gamut from nature and music and the season to English homes and Irish fairies, as well as from Suzanne and the Elders to Anne Bradstreet. In a literary scene where oversubstituted feet make too many allegedly formal poems unrecognizable, Karen Kelsay's limpid iambic pentameters are a welcome respite and a joy to peruse. Reading these poems is like handling some lovely hand-made, carefully-wrought artefact from an age when craftsmanship and elegance still remained sovereign virtues. Karen Kelsay eschews cheap gimcrack-trendy modernisms and postmodernisms, and instead evokes a more organically traditional aesthetic and praxis. It is refreshing to read poetry that, far from urgently straining for effect and ersatz novelty, quietly and touchingly speaks to more durable human virtues. Yet within this exquisitely traditional poetic vision, Ms. Kelsay addresses concerns that are as relevant today as they ever were, and she does this from her own unique perspective, and in her own authentic voice. This is poetry that enriches the reader: and thank goodness such poetry is still being written! 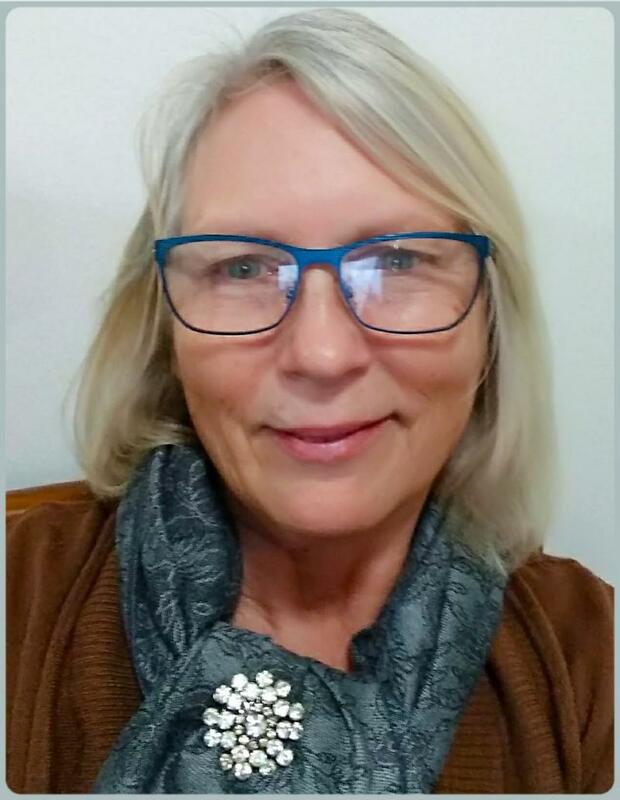 Karen Kelsay is a courageous poet: courageous to imbue her poetry with love, compassion, empathy and spirituality at a time when such things are out of favor in literary circles. For those of us who still believe that art should be moving, her poetry is like a breath of fresh, lavender-scented air. These poems rehearse their subject matter with charming magic of language, sorcery of phrase, the spell of measured, proper words. It is music, chant, and liturgy, the commonplace ensorcelled. The joy Karen Kelsay evinces in her new book Amytis Leaves Her Garden is real and sustained. A virtuoso of subtle descriptive twists, she carefully chooses each word at its peak of ripeness, then plucks it, so to speak, from the inexhaustible tree of her personal eloquence. However, whether making a general observation or acknowledging some strand of her own memory and experience, Kelsay remains at all times an astute observer. And what she makes of these small occurrences is neither ordinary nor small. This book consists of fifty subtle and well-constructed poems, all of which may be read and re-read with pleasure, for the beauty of their language and their imaginative force. 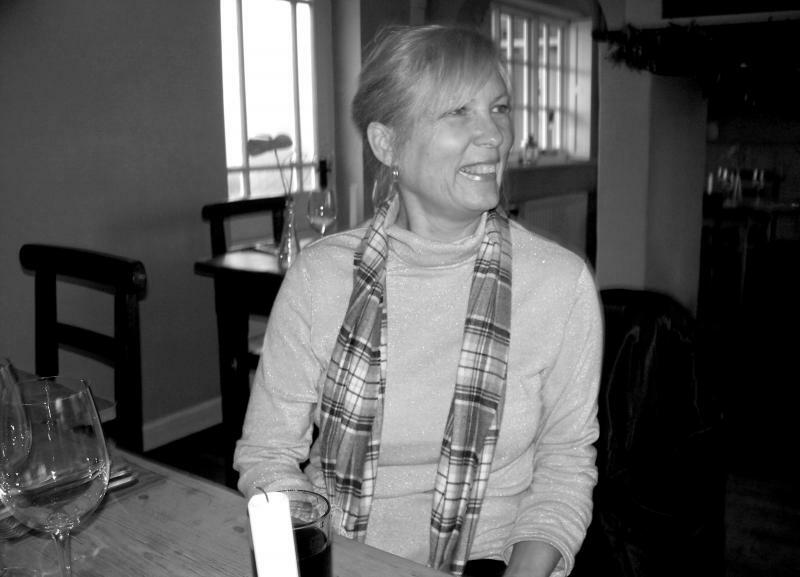 Karen Kelsay is not only accomplished and prolific; she respects language. In addition, she is also attuned to pleasing the intelligent reader. In this harsh uncaring world, Amytis Leaves Her Garden presents an elegant respite; something to enjoy. It is also a testament to a life well lived. Karen Kelsay is a poet to watch.